The Tenga Air Tech Twist range bring the best of the Tenga reusable cup range together. 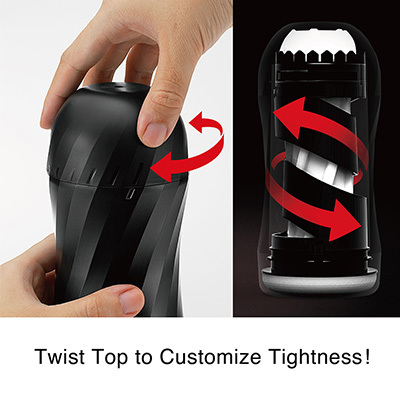 The unique twist action at the top of the cup allows you to tailor the tightness to your own desire. 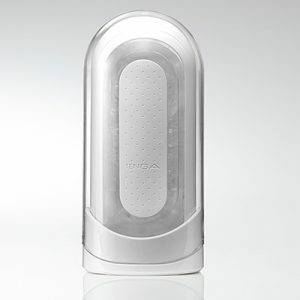 A simple twist of the top section will increase or decrease the sensation....FREE SHIPPING. 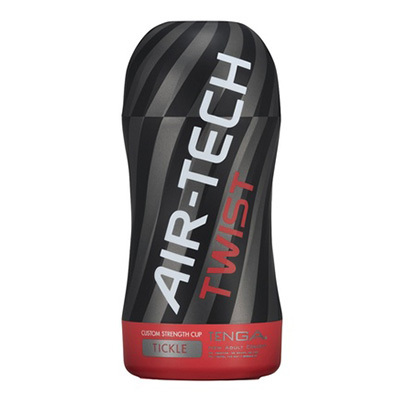 The Tenga Air Tech Twist range bring the best of the Tenga reusable cup range together. 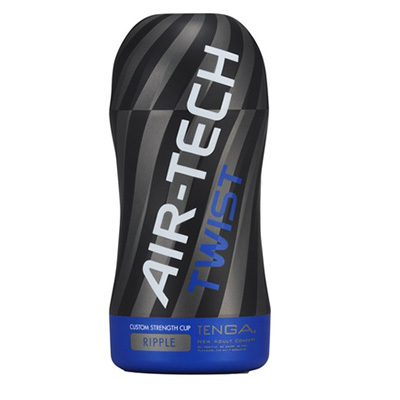 The unique twist action at the top of the cup allows you to tailor the tightness to your own desire. 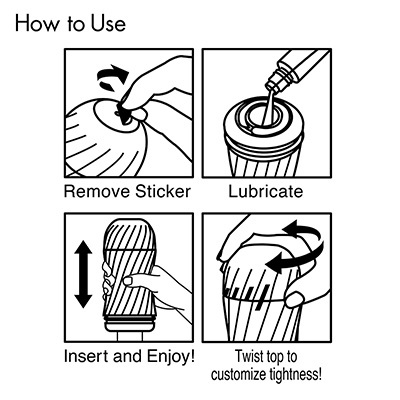 A simple twist of the top section will increase or decrease the sensation. Tickle Red Cup – featuring ribbed nubs for a stronger more intense stimulation. Ripple Blue Cup – the gentle waves of the silicone provide an softer more enhanced sensual experience. 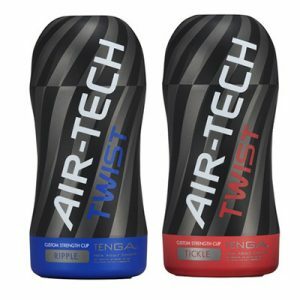 The Air Tech Twist range is fully reusable and easy clean as with the standard Air-Tech products. After use simply remove the internal silicone sleeve and wash in warm water with a recommended toy cleaner. When cleaning ensure to turn the sleeve inside out and wash both sides. It is important the sleeve is completely dry before putting back into the outer case and storing. 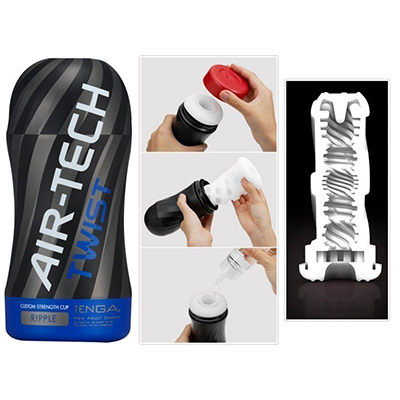 It is highly recommended to use water based lubricants with your Tenga Air Tech Twist cup. This will make it easier to clean and last longer. 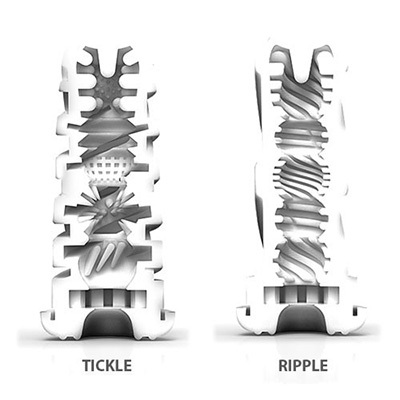 Red Tickle - stronger rugged nubs. Blue Ripple - softer waves for enhanced pleasure. Insertion Width - 5cm (diameter).